I got into photography haphazardly. I used to write for sneaker blogs and would get invited to a lot of events and stuff to cover them. So I would usually either have to sneak one of my photographer friends in to take pictures or wait for the brands press team to send over official shots for my event recap posts. One day I decided to just cut out the middle man and I went to RadioShack and bought my own camera. And from there, the rest was history. 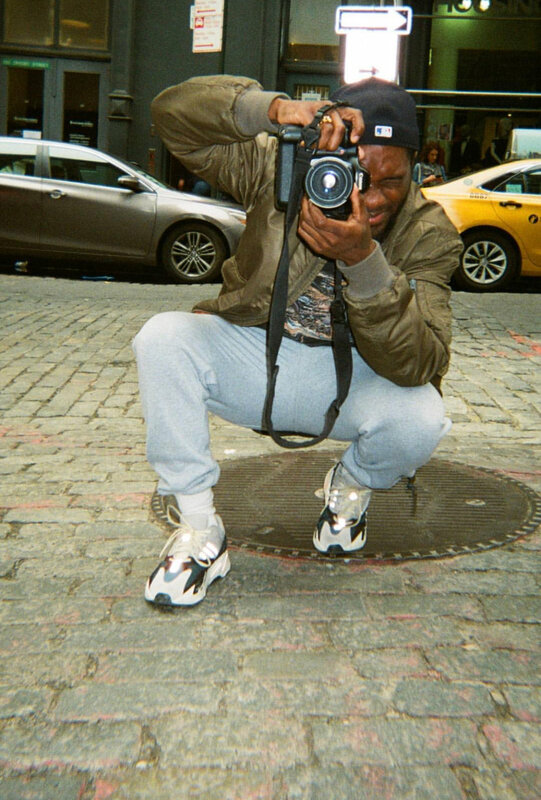 My very first camera was a Canon Rebel T3. I went to Troy University in Alabama. And I’m self taught with any and everything I know photography wise. I’ve got a lot of nicknames lol just depends on who you ask. But my most common nickname would be Simply Greg. And the Simply Greg nickname game about as a byproduct of IG. My username used to be Almighty Greg and I felt that it was a bit ostentatious for who I am as a person and I wanted to keep it simple. And I’m keeping it simple, branding myself as Simply Greg really fit and spoke to my personality. Barack Obama, Sade and Kanye West. Muhammed Ali, Prodigy of Mobb Deep and 2Pac. Paris, Los Angeles and Tokyo. To really capture that persons personality. I love capture the emotion attached to whatever activity the person I’m shooting is doing. My ultimate goal is to let the photos tell a story and to provoke some sort of feeling or thought in whoever looks at them. I listen to a lot of Sade and different instrumentals from composers like 9th Wonder, Paul Hardcastle, Bob James, etc. Something about Sade’s voice and the instrumentation of the instrumentals just helps me lock in and really focus on what feelings I want to convey when I edit. Currently, I’d have to say that my favorite would have to be the Headspace app. All props go to the queen in my life, Shonica, for this being my go to app. She really opened me up to meditating and recommended this app to me. And after giving it a try and recognizing how I felt lighter and relaxed after a few sessions, I make sure I find some time throughout the day to just be still and meditate. My dream as a photographer is to one day open my own creative space/studio to be able to provide a space for aspiring photographers to come and hone their craft and really delve deeper into their interests in the art form and fully explore the depths of their creativity. I also want to create a community outreach initiative that taps directly into the youth and would provide kids with the opportunity to pick up a camera and create. My ultimate dream is to just inspire someone/anyone with the pictures I take. Whether it be 100 people or even just 1 person, that would be the most gratifying and worth whole thing I could achieve as a photographer. I would say save your money, go buy a camera, figure out what it is that you would be interested in shooting and just get out there and put that camera to use. Don’t feel like you have to compete with anyone and buy the biggest and newest camera either. Start out small and work your way up to higher end more expensive equipment. Make sure you take the time to mess with every feature, setting, knob and button. Really learn your first camera in and out. Don’t rush anything. Take your time and trust your creative eye. Every picture you take won’t be crystal clear nor will it be beyond blurry, but know that the story behind each and every picture and image you capture will certainly be unique to you and that particular moment in time.